Working with the Hazardous Waste Regulations means that we are experts in dealing with all types of man handling equipment. 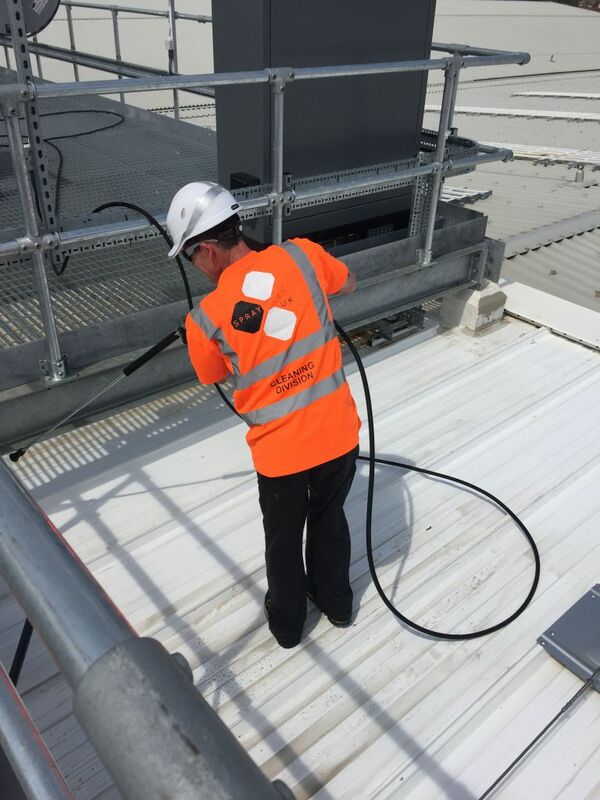 We provide industrial and commercial jet washing, cladding and cleaning services to industrialised buildings. This is a professional and reliable service. We specialise in the deep cleaning and restoring the exterior of any building. Over time dirt, algae and even moss can start to develop on your building, as you can probably reckon, the building may even start to be come slippery and even dangerous. Not only for yourself but your cliental and employees also. Keeping on top of your industrial cleaning is very practical and important. This could prevent any accidents from occurring and also helps maintain the overall look of your building. All building types! Our high powered jet washing pressure system can transform your building!